Folding design allows to see your face from more angles, to finish a more charming makeup, avoiding some embarrassment such as cosmetic powders o creaming remaining on the side face. On the circle of the mirror, demonstrated with 8 LED light, lighting your face clearly. The product size is 15.4*12.2*1.3cm, easy to take. cute little mirror thanks for sharing. Looks great that it folds up too for space saving. Thanks for sharing. These are fab not bad price nice find thank you. Very good looking space saving mirror. Thank you very much for sharing. 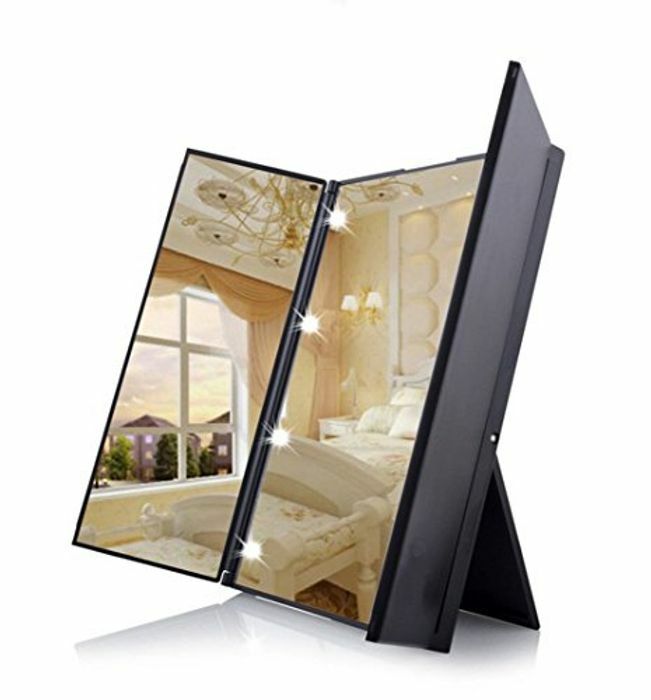 I've been looking for a cosmetic mirror for a while now but waiting for a nice price, thanks for sharing this! Ah, I've been looking for one of these, I always find I can't get close enough to hotel mirrors so this'll be handy!